- 6 Acolytes and 3 Neophytes! YEAH! 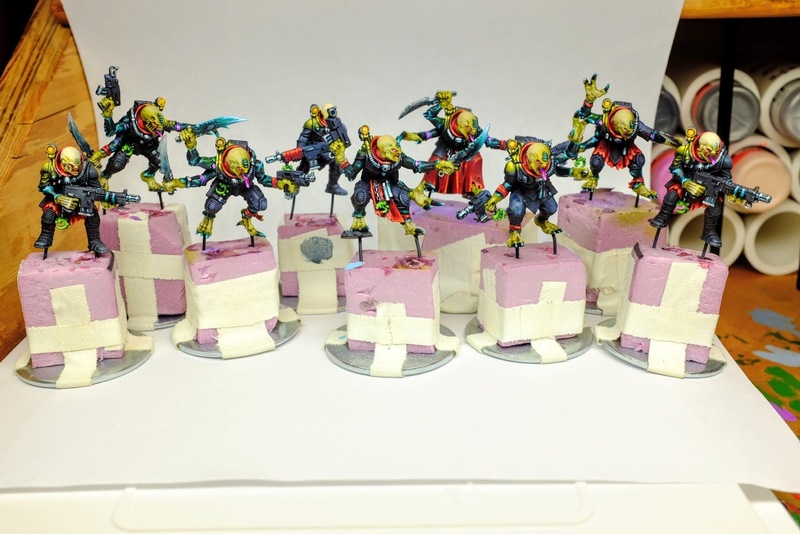 They still need to be glued on to their pre-painted bases, but I was pretty happy to finish painting them last night! ...that was until I was reviewing these photos and realized I never painted the little, spirit-stone-looking vascular tissue on their boneknives. They're basically done, though, and thank god for that! I love these modles, but I feel like I've been staring at them and picking out chitin FOREVER. 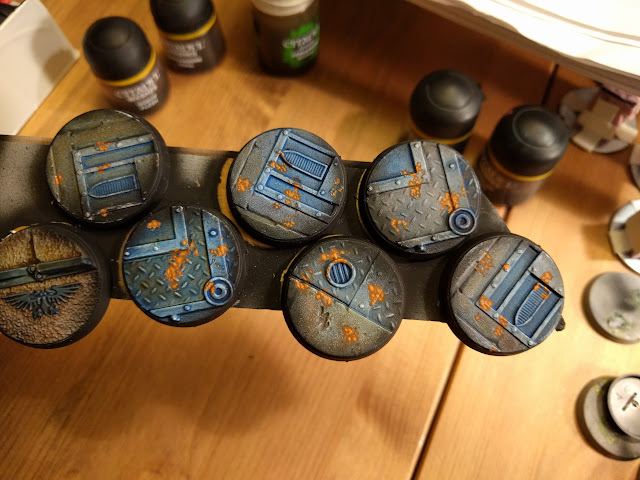 That being said, I am THRILLED that I decided to batch paint my sector imperialis bases as now it's just a matter of drilling some holes and plunking these guys onto them. - Them 12 Neophyte Enforcers. Not much done on these guys this week as I was focusing on having the hybrids done by end of week. 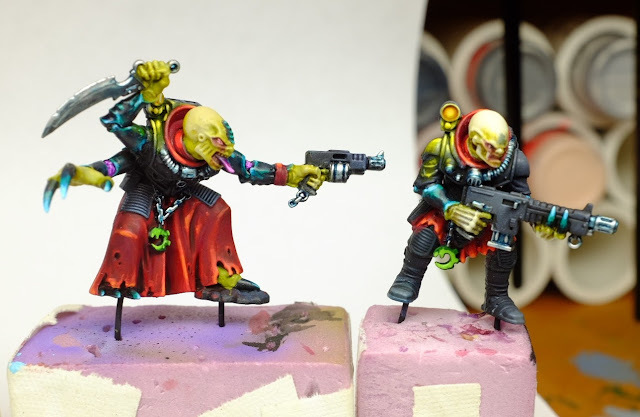 I have blacked in their weapons and started on their skin bits. 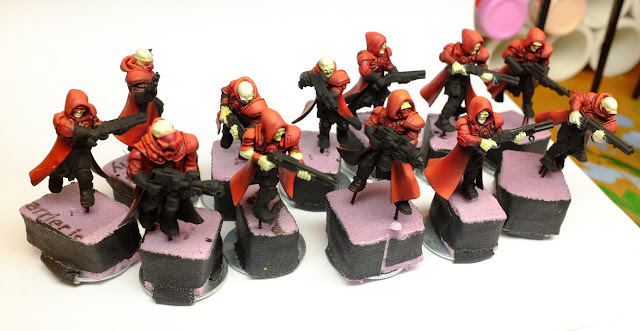 With the Airbrushing of the cloaks taking care of most of the model, all that's left is their faces, highlighting black, and getting some metal on their armour and weapons. Shouldn't be too hard to have them done by this time next week...which feels a lot like famous last words! 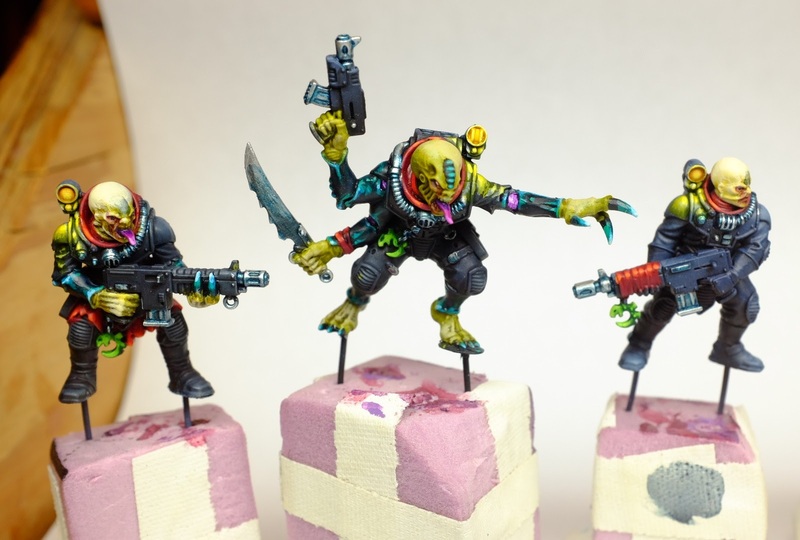 As with the Enforcers, not much progress in this camp since I dedicated most of my hobby time this week to finishing the Hybrids. However, I did have a night when I was feeling uninspired and wanted to build something, so I made a start on some more Aberrants and my Leman Russ stand in (since I feel like this model is way prettier than the ancient Russ kit, and it fits much better with the Bladed Cog fluff for my force!). 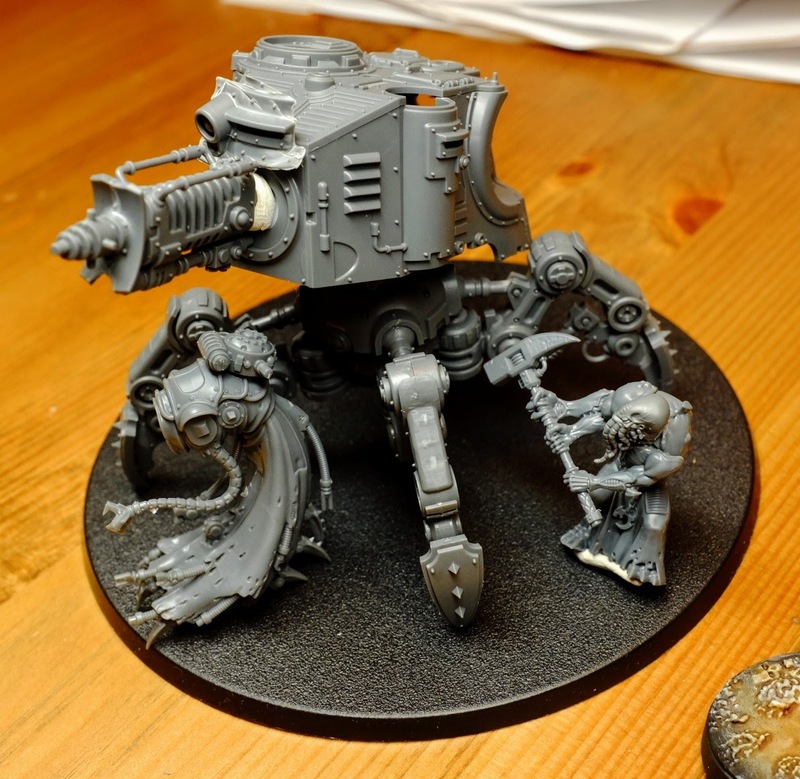 I LOVE the dunecrawler model (and now that I've assembled one, I want to find something to do with just the leg assembly as that dome looks so much like the head of some weird droid), but I still wanted to change up the profile so that it wasn't just a dunecrawler shoved into my force. My idea is for it to be less of a tank, and more of a piece of mining equipment that the cult has forced into service as a tank. In fact, I'm even playing with the idea of whether I put sponsons on it, or represent the sponson weapons with heavy weapon-totting miners walking on its base...? So please let me know what you think about the idea. Oh, and I'm thinking about making a very Admech Magus since my army list is divided up in such a way that my Magus is going to be in disguise, hanging with some lowly miners. As I mentioned above, I'm a sucker for challenges. Unfortunately I missed Dreadtober this year as I was so burnt out from my race to Armies on Parade. 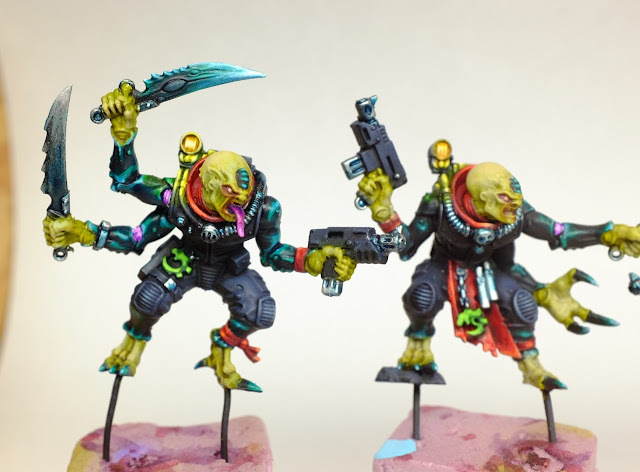 However, in the spirit of Dreadtober, the folks at Stepping Between Games have come up with Squadary, or SquadUary, if you're an insufferable prat like me. The idea is that, just like Dreadtober (where you pledge to build, paint, and base one dreadnought-type model in the month of October), this will be a month-long pledge, and this one will focus on completing one squad. 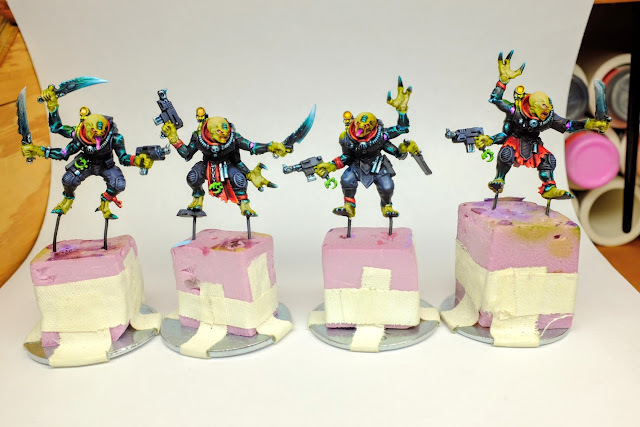 Seems a bit easy, if you ask me, and I'm a sucker for punishment, so I'm going to endeavour to build, paint, and base as many squads as I can in the month of February. No special characters. No Mech (Anyone want to join be for MechMarch?). Just units. Anyone want to take up the challenge with me?